The morning I landed at Keflavic Airport in Iceland, I wondered what had possessed me to leave behind beautiful warm summer weather in Montreal to end up in pouring rain and 9C temperature barely five hours later. However, by the end of my 4-day stopover, I wished I had more time (and more cash) to explore this unique and unusual destination. To give you an idea of what I mean, here are 15 things you probably didn’t know about Iceland. About 85% of all houses in Iceland are heated with geothermal energy. Renewable energy provides around 99% of electricity production, one quarter of which comes from geothermal power and the rest from hydropower. The hot tap water has a slight sulphuric smell due to its geothermal origin. The cold tap water comes from a separate source and consists of pure spring water without any additives such as chlorine. It is one of the purest drinking waters in the world. A little more than a century ago, Icelanders were scattered around the island, lived in turf huts and fished only for their own needs. Illiteracy was common and industry and urbanization practically unknown. 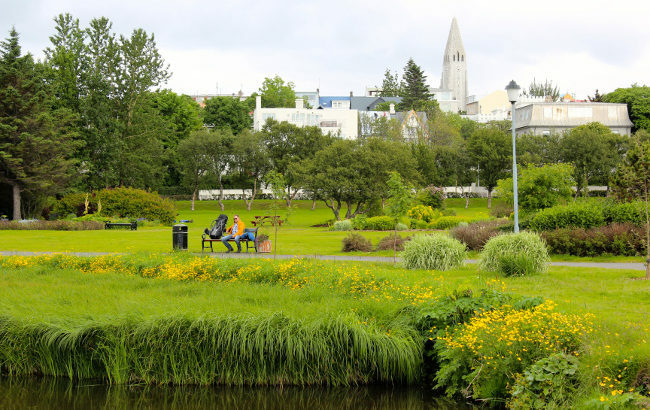 Today, Iceland’s standard of living is among the highest in the world. 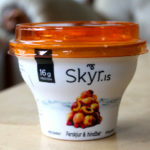 “Skyr” is a unique Icelandic non-fat dairy specialty available in every supermarket. Looking and tasting somewhat like thick yogurt, it’s actually a type of fresh cheese. It comes in many flavours including blueberry, apple, and passion fruit. Iceland produces 30% of the food it consumes, and this percentage is growing. Most Icelanders still follow the ancient tradition of deriving their last name from the first name of their father. For example, the last name Eiríksson means “Eiríkur’s son” and Haraldsdóttir means “Harald’s daughter”. Women keep their own last name after they get married. This results in parents, brothers, and sisters in the same family all having different last names. The brightest aurora borealis (northern lights) are usually seen in spring and fall, rather than mid-winter. They are most frequently observed from about 9:00 PM to 1:00 AM. While 30% of Iceland was originally occupied by trees, that percentage is now only 2% due to sheep grazing and logging over the years. The fact that the land is mostly covered by volcanoes, glaciers and lava fields doesn’t help either. In fact, there are more trees in towns than in the countryside! The purple Alaskan lupin that you can see in vacant fields is preparing the soil so that more trees can be planted in the future. 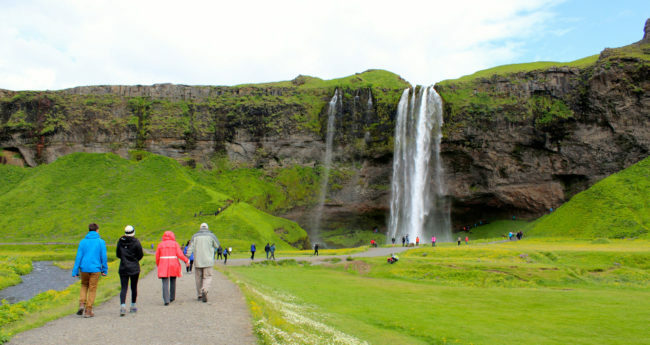 Iceland enjoys an oceanic climate warmed up by the Gulf Stream. Despite the fact that summer temperatures rarely rise above 15C, winter temperatures do not often dip below -5C (although frequent winds may make it feel cooler). Iceland’s average winter temperature is actually higher than many more southerly cities such as Berlin or New York. Iceland sees a volcanic eruption at least once every five years. Many volcanoes lie under glaciers, creating a lot of steam and ash when they erupt, as was the case with Eyjafjallajökull in 2010 when flights in and out of Iceland were cancelled for days. Most volcanic activity is never publicized though. Another eruption in 2014 was the largest since the 17th century, yet the rest of the world didn’t hear about it. In addition to volcanic eruptions, the country suffers hundreds of small earthquakes every week. For example, I just found this article, published the day after I left Iceland! Iceland’s Vikings established the world’s first democratic parliament in 930 AD at a site called Þingvellir, now part of the popular Golden Circle tour. In the year 1000, Leifur Heppni (Leifur “the lucky”) was the first European to set foot in North America, 491 years before Christopher Columbus made landfall in the Caribbean. Iceland has only been an independent country since 1944, having first been a colony of Norway and then Denmark. This is just a small sample of the oddities found in Iceland. Sometime over the coming months I’ll be writing about my day trip to the South Coast of Iceland, which included stops at two waterfalls, a black sand beach with basalt columns, and a glacier! Tu pourrais ajouter que la femme du président est une ontarienne, autre curiosité…mais les choses en politique peuvent changer vite alors que tout ce que tu as écrit est immuable! Et l’éruption de 2010 n’a pas seulement entrainé l’annulation des vols à l’arrivée et au départ d’Islande, mais presque tout le trafic européen a été paralysé à cause des fumées qui dérivaient. Can’t wait for more news! Vive les éruptions volcaniques icelandaises! Je suis restée “coincée” une semaine complète à Rome grâce à elle en 2010.